Every individual is always alone in this world, a pawn on the board of life, an island in a misty sea of dimly comprehended chaos; and, by the rules of the game, no-one can occupy the same square at the same time as you. Thus, no one will have the same situation like your own. Goaded and guided by these hopes and ideals we play the game. 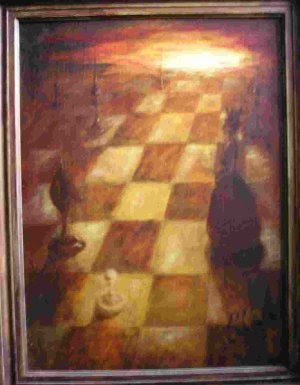 Trying to reach the far side of the board and so become Queen – achieve riches, fame, fortune, happiness?